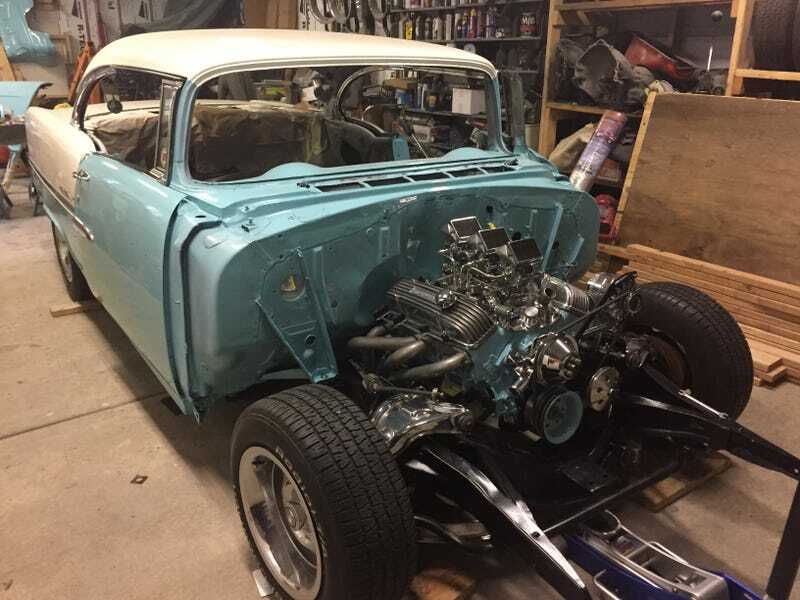 1955 Chevy Bel Air Project Update- Body and Frame united! Well hit a big milestone this week! The body is off the rotisserie and now back on the frame! Along with this mile stone over the last update, my grandfather has been polishing all the Bel Air stainless himself (and there is a lot of it on a Bel Air) as well as starting to put it back on the car. Alot of the rear end of the car is back together already. The plan is to have everything hooked up to try and fire it up by the end of the month. 1955 Chevy Bel-Air Project - Now With Color! 1955 Chevy Bel Air Project Update- Body in full color!